Welcome! Since 1994 we have been providing quality dermatology care for our patients at Valley Dermatology Associates. Our office is located on the Valley Presbyterian Hospital campus in Van Nuys. Our goal to provide top notch personal service with compassion and caring. This approach is guided by understanding your concerns and responding with the best treatment options for you. We are dedicated to resolving or relieving your skin issue. 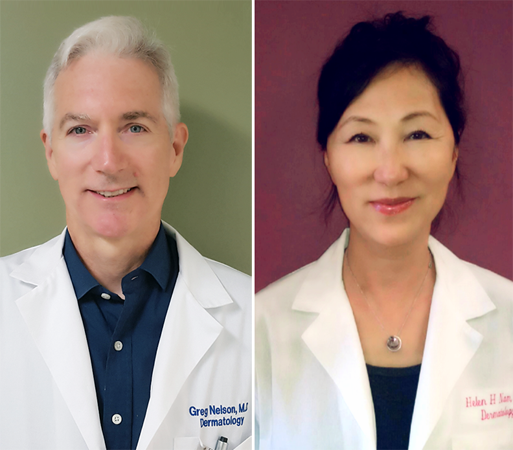 Our web site also provides you with background about Dr. Greg Nelson and Dr. Helen Nam, our staff, office hours, financing policies, appointment procedures, maps, directions to our office in Van Nuys and other useful information. We know how hectic life can be and are committed to making our practice convenient and accessible. And we want you to feel confident that when you choose Valley Dermatology Associates, you’re working with doctors and other professionals who are qualified, experienced and caring. Please take a few moments to look through this site to get a better feel for Valley Dermatology Associates’ capabilities and services. Thank you.